The Test Case Success that Started it ALL! The NFL Players of Sportz Partnerz test case proves up $144,615.33 from Interactive Pro Show Exhibition Game. The Sportz Partnerz Agency, a subsidiary, of Godspeed Communications LLC., Dallas Texas, that was founded in 2011 to represent its network of retired and active professional athletes in their efforts to promote their national network of sports training schools, "ProShowz" Exhibition Games, and Community Festivals. The Schools, Festivals, and Pro Show Games are hosted all year round. They include athletic professionals from Football, Basketball, Baseball, Golf and Soccer themed events. The partnership is made up 700+ active and alums from the NFL, NBA, MLB, PGA, and MLS. 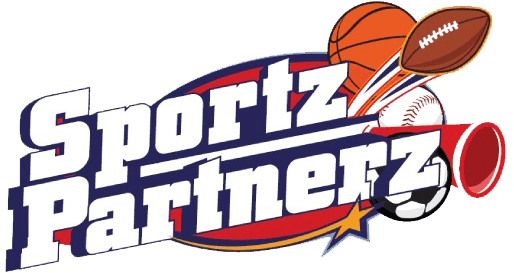 Sportz Partnerz events and products have been designed to assist Charities, Booster Clubs, School Districts, Churches, Political Parties, Associations and Youth Leagues around the country to raise funds that supplement their budgets. The Pro's help allow these entities to sell, raffle and promote the Pro Show Tickets, Propon Rewards Weekly Deals and autographed sports memorabilia with tremendous ease and revenue. The professional players, aslo, support these entities by providing the communities with humanitarian deliverables through The Sportz Dreamz Foundation. By granting gift tickets and scholarships to the Skilz Skoolz Training Camps and Pro Show tickets to children and their families that might not be able to afford participation. The "Community Charity Festivals" are sponsor driven and themed around a tailgating environment relative to the sport and respective current season that is "in play" the particular time. Bouncy houses, beer/wine tastings, cook-offs, live music, autographs, photo opportunities, and professional athletes mingling in casual and/or private VIP setting. The festivals are approximately 5 to 8 hours long and always revolve around different food theme concepts. For example, Chili, BBQ, Salsa, Wing, and/or Cajun Cook-offs, as well as, Cookie, Pie and Cake Bake-offs with the "Pros". The "ProShowz Games" are friendly game competitions that are hosted by 20-30 of our player partner legends. During Football season, for instance, we use the 5 minute quarter, 50-yard line to goal, non-contact flag football format that is used at other NFL Alumni Celebrity functions, like the Pro Bowl. In addition to the game, other supporting on site festivities include autograph sessions, photo opportunities, sponsor dinners/brunches. Depending on the Venue/Stadium the ProShowz are generally restricted to about 10-13,000 spectators and can generate up to $190,000 in ticket revenues alone. Concessions, Merchandise, Autograph Cards, and Sponsor Dollars are also split with the non-profit entities based on their respective efforts and involvement. (Alike, 3 on 3 games and regular softball games respective to the NBA and MLB exhibitions will have smaller crowds and revenue). Fundraising "Fandraising" is viable with any of our programs, platform or events. ​Our fundraising models are in lieu of and/or in compliment to the traditional low-profit candy or cookie campaigns that youth leagues, school districts, churches and booster clubs traditionally currently have in place. Our programs succeed from tickets to a Pro Show Games, Products or Community festivals. There are individual, group and team sales incentives built in to maximize these efforts. In some cases, a friendly "inter-beneficiary" challenge raises more funds. For example, a Police force might challenge the local Fire department or a high school might challenge a cross-town/district rival to achieve maximum financial benefit for themselves and the features charity. Follow up "ProPon Rewards" campaigns keep your contributors engaged while they immediately benefit from special offers from national and local brands that have chosen to participate. Local businesses can also enroll in the program as a supporting vendors by simply extending preferred discounts to supporting members, parents, players, and associated supporters of partnering organizations.